Mohawk has been a trusted brand of copper, fiber optic and hybrid wire and cable for more than 50 years. Mohawk was established in 1952 as a manufacturer of wire and cable products including LAN, composite and fiber optic cables. Mohawk is headquartered in Worcester, Massachusetts, and has been providing copper and fiber cable innovations for over 50 years. 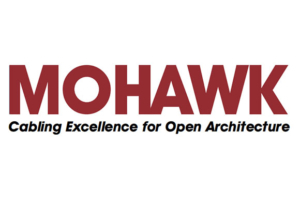 Mohawk is an ISO 9001 certified company and develops products to meet and support TIA/EIA, ISO/IEC, ICEA and NEMA standards. As part of the global Belden operations, Mohawk is supported with worldwide management, financial resources, and distribution capabilities. Mohawk is a Belden brand. Belden and its family of brands design, manufacture and sell a comprehensive portfolio of cable, connectivity and networking products for the transmission of signals for data, sound and video applications. These highly differentiated, high-performance products can be found in a variety of markets including industrial, enterprise and broadcast. The design, engineering and manufacturing excellence of Belden, Mohawk and other Belden brands, enable the companies to offer end-to-end signal transmission solutions that meet the most demanding standards for data, sound, and video applications. All Belden and Mohawk products are designed and manufactured to the strictest quality standards in the industry resulting in an incomparable reputation for worldwide reliability.